The Wild Magnolias blazed the trail as the first Mardi Gras Indians to popularize their once secretive culture by merging its primal vocal and percussion based music with the hip, contemporary funk music of New Orleans. Between 1970 and 1975, Big Chief Bo Dollis and his gang recorded two singles and two LPs worth of groundbreaking material in collaboration with Willie Tee and an aggregation of great local players. So, around 1976, when George Landry, a/k/a Big Chief Jolly of the Wild Tchoupitoulas Indian gang from Uptown New Orleans, approached his nephews, the Neville bothers, Art, Charles, Aaron and Cyril, about doing something similar, there was surely a feeling that the project would have to better what had gone before and bring something new to the party. According to Art in the Nevilles' autobiography, after Chief Jolly asked them to help him make a record, the project rather spontaneously unfolded. Art's own band, the Meters became the defacto rhythm section. Sansu Enterprises (Allen Toussaint and Marshall Sehorn) which oversaw the Meters recordings, held the sessions at their own Sea-Saint Studio and secured a deal with Island Records for the release of the resulting album on the Antilles label. On the credits, Art and Charles Neville are shown as co-producers and the arrangers, as they brought everyone together for the sessions, which, as Art relates, were basically unplanned. The album emerged organically in the studio and was a collaboration of all involved. Wild Tchoupitoulas definitely had a fresh approach and a distinct sound, more wide-ranging and melodic that what the Wild Magnolias had done, and mixing elements of doowop, R&B, soul, gospel, and Caribbean music into mostly newly written Indian tunes, all rooted in the syncopated rhythms entwined in the cultural DNA of New Orleans. With some of the best players and singers in the city lending their unique talents and sensibilities to the project, the result was classic music that has stood the test of time. Even after three decades, it doesn't sound dated, and has never been duplicated. Landry's "Meet De Boys On The Battlefront" (which also came out on an Island single as "Meet Me Boys On The Battlefront" b/w "Big Chief Got A Golden Crown"), was featured here two years ago; and I figured it was time for a replay. It stands as a Mardi Gras Indian mission statement, asserting the dominance they want to achieve on Mardi Gras day over their rivals from other neighborhoods. Although the lyrics speak of violence, the Indians no longer do physical battle with weapons, as happened in earlier years. Their confrontations have metamorphosed into displays of the colorful, dazzling suits each member creates, along with their movements, signs, secretive language, and music. The winners are deemed the prettiest, and seen as the best craftsmen and conveyors of the Indian spirit and traditions. Where once people viewed them only from a safe distance, the modern Indians draw admiring crowds along their runs, which are still not officially sanctioned by the police. The song has an island lilt and calypso/reggae feel, linking the New Orleans Carnival tradition to similar celebrations throughout the Caribbean. George Porter's simple, essential bass work, laying down a hesitating, start/stop pattern that draws you in and won't let go, can't be touched. What he doesn't play is just as important as what he does. That Zen-like funk/sway strikes again. On another historic note, Wild Tchoupitoulas marked the first time that all the Neville brothers had recorded together - a harbinger of things to come, as, two years later, Art and the Meters went their separate ways; and the Neville Brothers band arose for a run that has lasted three decades so far. So much in New Orleans revolves around family. 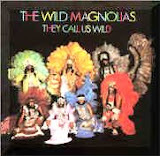 Jolly and the Wild Tchoupitoulas toured with the Neville Brothers during the early years of the band; but, when the chief passed away in 1980, his gang did not continue. As revelatory and pleasurable as the records are, none of this music can really convey the appearance of the magnificent Indians ruling their home turf on Carnival day, and again around St. Joseph's Day during Lent. Steeped in ritual and high off firewater and peace pipes, they are a tricked-out Kabuki theatre of funk that could happen only in New Orleans, obsessively compelled to keep the spirit alive and the resplendent new suits sewn year after year, as if the fate of the universe depended on it; and, you know, I'm convinced it actually does. The Mardi Gras Indian tradition in the African-American neighborhoods of New Orleans goes way back, at least into the 19th Century. So it should not be surprising that influences of the culture have seeped into in the popular music of the city over the years. Some obvious examples can be found in 1950s and 1960s R&B: Dave Barthlomew's "Carnival Day". James 'Sugar Boy’ Crawford's classic "Jock-A-Mo", which was reworked by the Dixie Cups into "Iko, Iko" (and they also did a version of another Indian tune, "Two Way PocKy Way"), and Earl King's "Big Chief", as done with Professor Longhair. Of course, the Meters' own "Hey Pocky a-Way" is another shining later example. For a more complete look at the Mardi Gras Indians' influence on and contributions to the city's popular music, I highly recommend a fine article on the subject by New Orleans music fan and expert John Sinclair. Along with the previously mentioned songs, we can't leave out "Don't You Know Yockomo" from 1958 by Huey 'Piano' Smith with his Clowns on Ace. With various Indian phrases mixed in with some of the trademark nonsense lyrics of the group, this sing-a-long is about letting go, a call to "do a boogie woogie in the middle of the street" and dance all over the place - celebratory stuff that doesn't overtly mention Mardi Gras, but is full of its spirit. The casual listener (about all there would be, as it is impossible to be serious when hearing the Clowns), not familiar with the Indians, their lingo or Carnival, would just treat it all as blissful gibberish. But, it's even more fun, when you know a little of the secret code. "Shot Gun Joe" (Ernest Skipper)Ernest Skipper with Flag & The Boys, Rosemont 8201, 1980s? I ran across this mystery 45 on auction and had a hunch that it would be good, since the title was the same as a Mardi Gras Indian song I’d heard, plus the Yellow Pocahontas were on background vocals, and the Dirty Dozen on horns, according to the label. Ended up that I was the only bidder; so I got to find out. Though it is not listed on the Rosemont label discography in the R&B Indies, from the number, I am assuming it's early 1980s vintage. John Sinclair, in the article I linked to above, dates it as 1983 -1984. If so, it would be the first appearance I know of on record of a brass band blowing with Mardi Gras Indians. Before I found the single, the earliest Indians and brass jamming I'd heard was on the 1992 Rounder CD, The Mardi Gras Indians Super Sunday Showdown, a kind of all-star aggregation of funk players including Dr. John and Willie Tee, Indian percussionists along with chiefs Bo Dollis and Monk Boudreaux, plus the Rebirth Brass Band on some cuts. Ernest Skipper's "Shot Gun Joe" with Flag & The Boys is a rave-up of a record. There are some whistling synth drum flourishes; and the snare and kick drum may even be electronic, too, as their simple pattern doesn't change much; but there is plenty of percussion in the mix to funkify things nicely. Everybody's rippin' and runnin', especially the Dirty Dozen. That would be Kirk Joseph pushing the bottom on sousaphone; and the tenor sax solo is wicked. If this record came out in 1982 or 1983, it may also be the Dirty Dozen's earliest appearance on record, as their first LP (on Concord Jazz) came out in 1984. Despite it's title, the song bears no resemblance to the Golden Eagles "Shotgun Joe" that appeared on the Lightning and Thunder CD in 1988. Instead the song seems to be a precursor to "Let's Go Get 'Em" as done by Dollis, Boudreaux and the Rebirth on that Super Sunday CD. Papa Mali also used the same groove and riff from the verses on "Early In The Morning", an Indian-inspired track on his CD, Do Your Thing, that came out last year and was featured here. I still don't know anything about Ernest Skipper* * *. Was he a part of the Yellow Pocahontas? They are an old line Indian gang that operated out of the Treme neighborhood, just West of the French Quarter (and still may - though neighborhoods have changed post-Katrina). If you have any more details, please let me know. Anyway, whoever the heck he is, props to him for making an undeservedly obscure Mardi Gras record that demands spontaneous trance dancing as long as it is possible to remain vertical. Hoombah! Fire by the bayou! [12/18/2009 - R.I.P Ernest Skipper, Jr. I was saddened to learn last week in the comments to this post of the passing of Mr. Skipper. According to a notice by Ben Berman at Offbeat, he served as Grand Marshall of the the Young Tuxedo Brass Band and also fronted the Thunder Blues Band. Services are today with a second line to follow. Hope they play "Shotgun Joe". 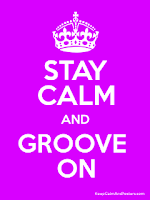 You can still hear that great contribution to Mardi Gras music in rotation at HOTG Radio. As I mentioned in my note on the last Toussaint post, we started out the evening last Saturday shivering in a cold North wind to view the annual Krewe du Vieux parade, which winds through the Faubourg Marigny and French Quarter. As you can see from their website, Krewe du Vieux is a large aggregation of paraders of various bents (and I do mean bent) whose yearly Carnival themes are highly satirical, pointedly irreverent, and, as much as possible, in incredibly poor taste. Kicking off the Carnival parading season in New Orleans, KdV's general theme this year was The Magical Misery Tour, a jaundiced assessment of the city in re-hab, I guess you could say, with plentiful reworked Beatles song titles - including the inspiring, "We All Live In A Jell-o-shot Machine" from the sub-krewe of Mama Roux; or, for a take on the state of political leadership, there was "David Vitter's Lonely Whores Club" from the Krewe of L.E.W.D. For the past several years, an impressive assortment of brass bands have rolled with the parade - such as the Soul Rebels and Rebirth (pictured) to name but a few. Are there bigger, more well-organized, less offensive parades? Yes. Carnival season is full of 'em. But, having just the right swagger to their staggering struts, Krewe du Vieux has got to be the funkiest parade going. So, several weekends of partying already behind me (we went to Offbeat's Best of the Beat award show the weekend before last), it's time to continue the roll through the figurative streets of the Home of the Groove with a tune written and performed by Earl King and backed up by the Meters, with Allen Toussaint arranging and producing. Now, let's get back on the parade line. . . .
Another stone fan of New Orleans grooves, Larry Grogan, posted Part 1 of this single back in November on Funky 16 Corners. Beat me to it, since I was patiently waiting for Carnival to get into swing. So, at the risk of redundancy, I'm going with both sides of "Street Parade", one of several tributes to Mardi Gras-related festivities by the late, great Earl King. Of course, Earl wrote the perennial favorite, "Big Chief", which Professor Longhair recorded back in 1964. Earl sang the lyrics (and whistled) on that single, too. He also penned "Mardi Gras In the City", which appeared on his impressive Black Top comeback album, Glazed, in the late 1980s. As I have written before (March 17, 2006, to be exact), Allen Toussaint cut at least an album's worth of original material on Earl King back about 1970, if not earlier, that his production partnership, Sansu, shopped around. Atlantic expressed interest in the project, put ultimately were unwilling to spring for a cash advance, and the deal fell through, never to be revived. Sadly, all those tunes were left moldering in the can, save one, the two-part "Street Parade", which came out as a one shot single on the Kansu label. I assume that this record was released during Carnival season to maximize the chance for some local airplay and sales; but I have no way of verifying that, unless someone remembers it from back then and can tell me. The rhythm section for these sessions was surely the Meters, who had started out a few years earlier as the Sansu house band and had quickly become a hit-making group on their own, and were still Tossaint's first call session men. If you listen into the music on "Street Parade", you can hear an absolutely infectious second line groove, highly syncopated parade drum beats, worthy of Zigaboo Modeliste, one of New Orleans' funkiest. On bass would be George Porter, Jr., whose playing dances around the drum rhythms with a feel similar to the patterns of a tuba player in a brass band. In more of a supportive role are the guitar and organ of Leo Nocentelli and Art Neville respectively. Toussaint really came up with some inspired horn arrangements for the tune that goosed up the celebratory atmosphere considerably, making superfluous the canned crowd noise added in later. All in all, he managed to create in the studio an effective approximation of a marching band funkin' it up out in the streets. King seems to have been genuinely enthused, too, giving up a great vocal performance. With all this going for the record, it's a tragic that it and the entire project fell by the wayside. "Street Parade" at least should have become a seasonal classic up there with Al Johnson's "Carnival Time"; but it was largely forgotten until a series of re-issues of the Sansu sessions appeared, beginning in 1981 on Charly (LP and later CD), and more recently Fuel 2000 and AIM, all entitled Street Parade. I read a short internet piece on this song that said it was recorded at Toussaint and Sehorn's Sea-Saint Studios in New Orleans; but Sea-Saint was not ready for sessions until 1973. "Street Parade" and other Earl King songs done for Sansu were recorded elsewhere, quite possibly in another city, as Cosimo's studio has closed down. The Meters recorded numerous sessions in Macon, GA at Capricorn Studios during the period. So that is a possibility, too, aling with Atlanta. Finally, those of you who have heard the re-issue CDs will have noted that King's song "Am I Your Dog", has exactly the same backing track (without the crowd and parade noises), but with entirely different lyrics. Why, I don't know. The music for "Street Parade" is so obviously geared to the spirit and context of that song that it sounds incongruous used with other lyrics. Maybe when "Street Parade" tanked, Earl went back and cut new lyrics in hopes of getting a second chance with the track. Obviously, that didn't happen. But, don't let that little lingering mystery affect your party mood in the least. Let's ditch this history lesson and celebrate the way Earl intended. Hit me!!!! "Mardi Gras", for all it's talk of Creole ladies second lining and the like, was not destined to be a Carnival favorite or anything else. It seems to have fallen on deaf ears, or off a cliff. The only two copies I've seen have been promos - maybe it didn't get released commercially after all. Other than Hill's easily identifiable, hoarse, phlegm-fest of a delivery, there's nothing much of New Orleans to the sound of the record until the horns break into "Saints" for a few bars; but there's some funkiness down in its groove. Starting off with a wah-wah guitar riff that repeats as a sing-along after each chorus, it kicks into a pumping soul-rock feel and stays there. The drums have a touch of syncopation, which is enhanced by the driving percussionist, likely 'Didimus' Washington again on congas. I love the song just on its own terms. It's a cooker in its own way: and it probably has playing on it at least some of the HOTG contingent in L.A. at the time: 'Shine' Robinson and Rebennack on guitars, maybe John Boudreaux on drums, as well as Didimus, for example. I found out about this song on Funky 16 Corners back in 2005 and speculated there in the comments about the songwriter credit to B. Reddicks, thinking this might have been an alias for Jessie Hill. I still have no verification of that. As a matter of fact, the BMI database shows the writer as Beatrice Reddicks, who also has six other songs registered - none of which sound familiar. It's very odd that, as a prolific songwriter surrounded by the likes of Rebennack, Robinson and others of their circle, Hill would cut a single where neither side was written either by him or his friends. If you have any insight on this, let me know. As Rebennack relates in his Dr. John autobiography, Under A Hoodoo Moon, he and Hill, among others out in La La Land at the time, had a vision of ensconcing themselves at some record label, quietly taking over production duties, generating their own material that hometown musicians would play, and recreating the salad days that they had prior to coming West, when the Crescent City was a hotbed of hit songs with an identifiable sound and sessions were plentiful. Perhaps the newly formed Pulsar was part of the plan, but it soon imploded. Battiste and Rebennack found out that it was more or less just a tax write-off for Mercury that was not on the up and up. They had gotten to cut some good records on Hill, Robinson, and King Floyd that got no push from the label and died on the vine. Of course, Rebennack by that time had taken up his Dr. John persona, finding his path to fame with the Battiste-produced Gris Gris album on ATCO, to which Hill contributed. In the early 1970s, Hill cut his whacked-out Naturally LP for Blue Thumb that also took a bullet train to oblivion. Later in the decade, his luck running on empty, he returned to New Orleans, gigging sporadically until his passing in 1996. Certainly not world famous, Hill has long been revered at home for his fun-loving, nonsense songs and as one of the uniquely gifted, colorful characters who have enlivened the musical culture of the city. Not a bad legacy. So, when you're swingin' at Mardi Gras (maybe seeing mushroom people pop up at some point), raise a go-cup to Jessie, won't you. Start making those reservations. The New Orleans Jazz And Heritage Festival has announced its 2008 lineup. Don't get spooked by those photos of Billy Joel and other national pop acts with tenuous or no ties to the city and its rich music culture. They are just distracting window dressing, NOT what the festival should be all about. Dig into the the daily listings to get to the real reasons you'll want to be there all 7 days, even if you can't: the local and regional performers, and select out-of-towners who fit right on in. If you've been tempted in the past and never made it, or haven't been back since the federal flood, why not do it this time. New Orleans still needs your patronage to revitalize - do your part, come on down and have a revelatory blast. And, as further inducement, don't forget the always incredible Ponderosa Stomp taking place on the Tuesday and Wednesday nights between the two Jazzfest weekends. The Stomp is back up to its full two night strength and will have classic, original performers (see link) doing their collective thang until the wee-wee hours. Also, note that the Stomp will do a set at Jazzfest this year, featuring (finally!) a revue of some of the acts from this year's shows. Now it's up to you. . . . .
On Monday, January 14, 2008, Allen Toussaint officially became a septuagenarian. Still the walking/talking/performing definition of a class act, he wears his 70 years extremely well. As I have said before here, an entire blog could be devoted to all the music he has been involved with over his 50+ year career. It is virtually impossible to discuss New Orleans popular music from the mid-1950s onward and not mention his name frequently, as I do here - just run a quick search of the blog sometime. Mardi Gras being upon us early this year, I'm only going feature a couple of Toussaint tunes for now, before pulling out some seasonal rarities; but, at some later date, I've got a bunch more of his songs in burning need of posting. Belated birthday best wishes go out to Mr. Toussaint, as we appreciate two choice cuts from his first two albums. [Note 01/21/2008] Having earlier stood in the cold, windy streets of the Faubourg Marigny in New Orleans for the always entertaining Krewe du Vieux parade (more about that soon), my wife and I had the extreme pleasure of taking in Tipitina's30th Anniversary Party this past Saturday night, featuring Allen Toussaint and his band, with opening act Jon Cleary and the Absolute Monster Gentlemen. Always great to hear and see Jon and his fine, seriously funkin' group; but sorry to say there were soundboard issues throughout his set that kept it from being dynamic as it could have been. But, the problems were resolved by the time Toussaint took the stage to greet an adoring, pumped, hometown crowd. Although it wasn't as big a band as at his large venue concerts, the sextet made up for it with a non-stop, high energy set, plus two Professor Longhair inspired encores - fitting, since the club was started more or less because of Fess and bears the name of one of his most popular songs. Toussaint, who rarely plays local club gigs, gave no indication whatsoever that turning 70 has slowed him down and was definitely way into the show and feeling the love of the crowd. It was some damn awesome party alright. Recorded January 29, 1958 at Cosimo Mastassa's studio in New Orleans, and released soon thereafter by RCA, "Whirlaway" b/w "Happy Times" was Toussaint's first release as featured artist. Producer/talent scout, Danny Kessler, "simplified" the name to 'A. Tousan' in one of those all too frequent record company attempts to find a moniker that even the most tongue-tied, semi-literate radio DJ could read and pronounce, not to mention lowest common denominator record buyers thought to fear and loathe foreign sounding names with too many consonants. Kessler had been in New Orleans recording other artists, heard Toussaint playing at the sessions, and was impressed enough to ask him to get together some instrumentals to record on his own. Very soon they were back at Cosimo's cutting tracks, first for this single, and, then, a month later, laying down more material to complete an album, which RCA would release that year as The Wild Sound Of New Orleans by Tousan. Although Toussaint worked up a number of the tunes ahead of the sessions, many tracks were improvised by the pianist and his collaborator on the project, baritone saxophonist Alvin 'Red' Tyler, who had long been a regular session man at Cosimo's and was well-versed in the art of creating quick head-arrangements on demand. "Whirlaway" is a prime example, as the 20 year old pianist cut loose with impressive variations on Professor Longhair riffs, played at a knuckle-busting pace. Tyler and the rest of the backing band were more than up to the task of accompanying him. Charles 'Hungry' Williams laid down an unstoppable, muscular parade shuffle, reinforced by the driving bass of another studio veteran, Frank Fields, and the rhythmic, almost banjo-esque guitar scratching of either Justin Adams or Roy Montrell. They also were the players of record on the other album cuts, with the addition of two legendary saxmen, Lee Allen and Nat Perrilliat, taking some solos. Toussaint did not have titles for many of the jams; so Kessler, a racetrack enthusiast, picked the names of well-known horses of the day, including Whirlaway, for several of the finished tracks. In his excellent notes for the essential Bear Family CD, The Complete 'Tousan' Sessions, Rick Coleman quotes Toussaint as saying that RCA album had decent sales, but remarkably did not do well at home. Though he did not become a household name with the release, Toussaint did get recognition for the first time from people around, and even outside of, the country. So, late the next year, Kessler had Toussaint and Tyler work up and record more instrumentals, some of which were released as singles on the Seville label, but did not sell. 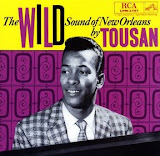 At the time, Toussaint had just been hired to do artist development, composing, arranging and producing for Joe Banashak's new labels, where he would lend his talents to recordings by Chris Kenner, Ernie K-Doe, Aaron Neville, Irma Thomas, and Jessie Hill, among others. Always most comfortable in that role, working more or less behind the scenes, letting others take the spotlight, Toussaint never actively pursued the role of frontman, but could still shine with the best of them when given the opportunity. A dozen years after the release of his RCA LP, Toussaint got the opportunity to record his second album, simply called Toussaint. Very little information is available about the circumstances that brought this record about. At the time, Toussaint was busy in his usual role of developing artists and producing records, having had a string of hits with Lee Dorsey, and attempting to do the same with many others such as Betty Harris, Eldridge Holmes, Diamond Joe, Curly Moore, and, of course, the Meters, for the various labels run by Sansu Enterprises (his partnership with Marshall Sehorn) or other labels who leased their products. I don't know what chain of events brought about this solo project; but, however it came to be, the tracks were recorded in Los Angeles at Dimension Sound Studio rather than Toussaint's home base. Since the only decent studio in New Orleans in those days, belonging to Cosimo Matassa, had been shut down by the IRS, who seized the assets for unpaid taxes, recording possibilities were limited. Sansu was having to take sessions for their artists to Macon and Atlanta, GA, and even North Carolina. Thus, a local venue was out of the question. Strangely, production credits shown on the sleeve of the 1970 Scepter album read "Allen Toussaint and Charles Greene for Sansu Enterprises, Inc." Now, regular readers may recall that Greene was Mac Rebennack/Dr. John's none too straight up wheeler-dealer manager in California at the time. Usually, Sansu credits always showed Toussaint and Sehorn. Because he was not a regular part of the Sansu operation, the extent of Greene's actual involvement in the entire process remains in question; and I would appreciate any enlightenment on it. What I do know is that Toussaint wrote all but two of the songs on the album and also arranged them all, as was his usual method of operation. Oddly, the Meters, Sansu’s hot house band, who were just starting to have hits of their own, did not participate on Toussaint. Probably, a small recording budget kept them from being flown to LA. Still, Toussaint was well served by the musicians* lined up, many of whom were hometown players living and working out West: Rebennack on organ and guitar, along with his long-time drummer, Freddie Staehle, plus another legendary drummer Toussaint had worked with often in the early 1960s, John Boudreaux. Filling the horn section were some other greats from New Orleans, Clyde Kerr on trumpet, Fred Kemp on tenor sax, and Earl Turbinton on alto sax. Merry Clayton, who like Toussaint hailed from the Gert Town area of New Orleans, sang soulful backup along with Venetta Fields. Other players on hand, from parts unknown, were Terry Kellman on guitar, Eddie Hohner, bass, and Ed Greene, drums. No doubt the comfort level and musical chemistry was enhanced by all of those connections to home. Besides "Sweet Touch Of Love", the standout tracks for me on Toussaint are "From A Whisper To A Scream" (famously covered the next year by Esther Phillips, and later still by Robert Palmer), "What Is Success" (also famously covered a few years on by Bonnie Raitt), Toussaint's funk-infused cover of "Chokin' Kind", and several of the quirky, earthy instrumental originals on side B, including "Either". In 1985, Kent Records in the UK re-issued the album on LP and CD as From A Whisper To A Scream, containing an unissued track, "Number Nine". Just last year, Kent again re-issued the album along with a number of Toussaint's singles for Bell on the CD What Is Success. How great it is to have all of that stuff in one place. Surely some of those tracks are available for download, if you’ll settle for the reduced sonic fidelity of mp3s. Anyhow, you really don't have any excuse not to start celebrating Toussaint's 70th year right now, the right way, with his music. Carnival season 2008 is now upon us. It officially starts on Twelfth Night, the Epiphany, January 6, and runs through Shrove Tuesday, or Fat Tuesay, Mardi Gras Day. The following day, Ash Wednesday, marks the start of Lent, the 47 day period of austere atonement (more or less) that ends with Easter. That's supposedly why everybody is blowing it all out to beat the band up until then. Got to get all the excess in you can. Got that? I thought not. Mardi Gras and Carnival are wrapped up in Catholic and pagan seasonal rituals going way back - hard to tell who stole from whom. But the bottom (and I do mean bottom) line is the partying starts NOW! I originally posted this tune (actually, it was the album cut from They Call Us Wild) almost exactly three years ago and am re-doing it this year as a Carnival classic with special significance due to the passing in 2007 of both Willie Tee and his brother Earl Turbinton and the precarious health of Bo Dollis. Back in 2006, I posted the flip side, "Fire Water"; and you can catch the audio for a while at that page in the archives. The Mardi Gras Indian tradition in New Orleans, with its roots in the African diaspora and interaction with Native American culture, has far too many twists and turns and for me to go into here. So, I’ve got links down below that will tell you more. But, all you probably need to know to understand these lyrics is that a “new suit” is the elaborate, American Indian inspired costume each member makes every year for their tribe’s Mardi Gras Day parading and showdowns with other tribes. The Indians also run on and around St. Joseph’s Day, which falls between Mardi Gras and Easter. Back in the day, tribes from different areas of town had actual, injury-causing territorial fights when they met; but, starting around the 1950’s, the battles became a ritualized competition to see who could produce the most elaborate and beautiful costumes, each of which can take almost a year to create. which was followed the next year by They Call Us Wild. Both albums, produced by Philippe Rault and released in Europe on Barclay/Polydor, became serious collectors’ items in the US. The only release over here from those sessions was this single, which Quint Davis put out locally. In 1976, members of the Meters, Neville Brothers, and Wild Tchoupatoulas tribe, headed by the Neville's uncle, Big Chief Jolly (George Landry), collaborated on their own album project, The Wild Tchoupitoulas. It too is a memorable album that I have posted tunes from in seasons past. The Wild Magnolias albums were reissued on CD here in 1994; but went out of print after a few years. They are now availabe again as a two CD set, They Call Us Wild, containing both albums with a 68 page PDF file of information and photos. I plan to review the release soon. Bo Dollis and his tribe have continued making albums off and on. To me, the best of the bunch is Life Is A Carnival from 1999 with it’s high-powered funk and top of the line session players. As they say in "New Suit", the Indians truly are the soul of the Mardi Gras: colorful, exotic, rhythmic manifestations of a once secret inner-city New Orleans culture. Incredibly, post-Katrina, though tenacious efforts to keep the traditions strong and pass them on despite the loss of entire neighborhood stongholds which may never be made whole, the Indians maintain their passion and soul, and will likely do so as long as any are left standing. 'Guitar June' Ray, guitar; Erving Charles, bass; Larry Panna, drums; Alfred "Uganda" Roberts, conga.